Please verify your application before ordering! GB Racing injection molded 60% long fiber nylon frame slider provides ultimate in protection for your machine! The tough long glass fibered nylon is a high impact material that is designed to absorb energy without cracking in most situations. 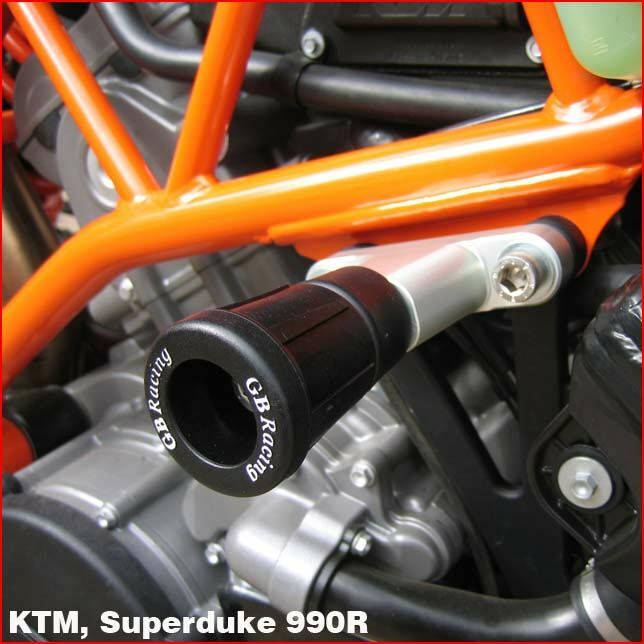 Complete set includes left and right side frame sliders / protector with CNC machined billet aluminum mounting brackets. Bolts to standard engine mount locations at two locations per side.